You can become a trainee teacher at any age or stage in life. 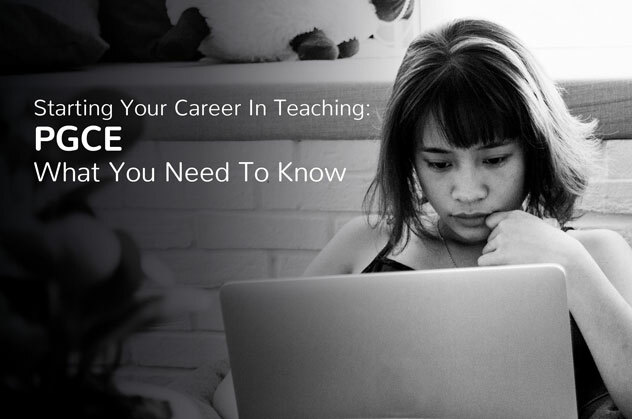 Whether you’ve always known that you’ve wanted to become a teacher or that you’re someone looking to change your profession. There are numerous ways into teaching and a lot of information to take in, so here at Pure Education we’ve broken down those options for you to digest. To start with we’ll take a look at PGCE training. Bear in mind before applying for the right teacher training there are some academic requirements that you’ll have to meet. You will have to have GCSEs (or equivalent) grade C or above in English and Maths. If your aim is to teach primary you will need grade C in Science. You will also need to pass a skills test in numeracy and literacy. It’s also highly advised that you gain as much experience as you can in a school environment. Contact your local schools and ask if you could volunteer. This will help build up an understanding of day-to-day school life, develop your network and to see if teaching is actually right for you. The Postgraduate Certificate in Education (PGCE) is a university-led course for graduates. You develop your practical teaching skills, planning and management of classes through a minimum of 24 weeks placement in schools. PGCE courses will also lead to obtaining Qualified Teacher Status (QTS). You don’t need a PGCE to teach in England as a qualified teacher, but it could be helpful if you plan to teach abroad or if you wish to complete a Master’s later on. Cost: PCGE student fees are up to £9,000 with student loans and grants available. Depending on your degree subject you may be eligible for a £25,000 bursary or scholarship. Find out more about Tuition fees & Maintenance Loans. There are many Universities offering great Teacher Training. The UCL Institute of Education (IOE) is ranked number one for education worldwide in the 2014, 2015, 2016 and 2017 QS World University Rankings. The IOE was awarded the Queen’s Anniversary Prize in 2016. IOE Teacher training programmes are recognised by Ofsted as ‘outstanding’ in every criterion across Primary, Secondary and Post-Compulsory education (FE). In the most recent Research Excellence Framework assessment of university research, the IOE was top for ‘research power’ (GPA multiplied by the size of the entry) in education. The Institute of Education, (IOE) was founded as the London Day Training College to train teachers in 1902. It changed its name to the Institute of Education in 1932, and was awarded its royal charter in 1987. The IOE and UCL formed a strategic alliance in October 2012, including co-operation in teaching, research and the development of the London school’s system. In February 2014, the two institutions announced their intention to merge and the merger was completed in December 2014. The Institute currently has more than 8,000 students, 1500 of these training for a career in teaching, and 800 staff. IOE specialises in postgraduate education with PGCE courses for primary, secondary and post-compulsory (16+ including adult learners) teaching. It also now teaches undergraduate degrees in Education and Psychology, which students can study combined or separately. The mission of the Institute of Education is to pursue excellence in education and related areas of social science and professional practice. For information on Teacher Training bursaries and funding please visit the IOE Initial Teacher Training Funding page. Are you looking to becoming a teacher via the PGCE route? Would you recommend a PGCE course? What is you experience of doing a PGCE? What are your experiences of teaching abroad?